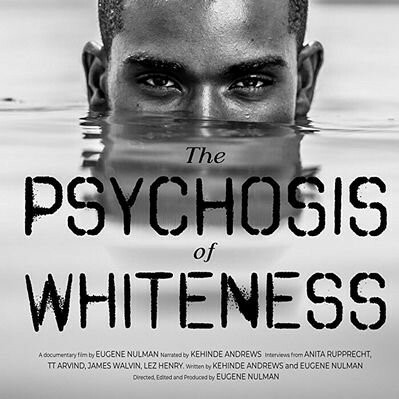 Dr Richard Misek, Senior Lecturer in Film in the School of Arts, will take part in a panel discussion following a free screening of The Psychosis of Whiteness at The Gulbenkian on Friday 22 March 2019 at 4.30pm. Richard will feature in a cross-disciplinary panel of contributors including the director, Dr Eugene Nulman, as well as Dr Ben Marsh (School of History), Dr Charles Devellennes (School of Politics and International Relations), Dr Sweta Rajan-Rankin (School of Social Policy, Sociology, and Social Research), and Carol Stewart, Chair of the Medway African & Caribbean Association (MACA). The Psychosis of Whiteness sheds light on society's perceptions of race and racism by exploring cinematic representations of the slave trade. This documentary takes an in-depth look at big budget films that focus on the transatlantic slave trade and, using a wealth of sources and interviews, it argues that these depictions are metaphoric hallucinations about race. Rather than blaming the powerful institutions that are responsible for slavery, these films rewrite history by praising those same institutions for abolishing the slave trade. The event is sponsored by the Centre for American Studies and the School of Politics and International Relations.